Israel says it will not apologize to Turkey over the Free Gaza Flotilla incident in which nine peace activists were killed. 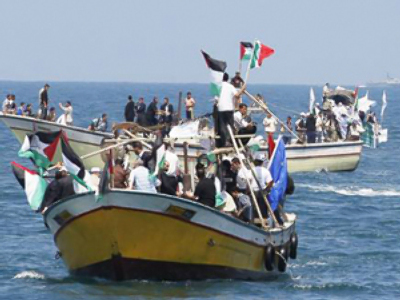 Israeli officials also say they will intercept another Gaza-bound aid ship. Foreign Minister Avigdor Lieberman made his statement on the Free Gaza Flotilla at a gathering of Israeli diplomats on Sunday. The minister said that Turkey’s demands for an apology were too much, making it understood that they would never be granted. "There will be no apology, and if there is one, we are expecting it from Ankara and not vice versa," the minister said. He also accused top Turkish officials of spreading disinformation on Israel-Turkey relations. Other Israeli officials hurried to distance themselves from the statement. On Sunday the administration of Prime Minister Binyamin Netanyahu issued a comment saying that only the prime minister can voice Israel’s official stance. Defense Minister Ehud Barak said on Monday that Israel’s relations with Turkey need to be normalized and that differences in opinions must not turn into disputes. Also on Monday, Lieberman himself said in a radio interview that his words were destined for a close circle of diplomats and represented a personal opinion rather than an official position.He also said he was surprised by the reaction to his words. "I don't think I presented anything unknown or different from what I always say," Israeli media quoted the foreign minister as saying. Turkish authorities have not made any public comment on Lieberman's remarks. Also on Monday, Israeli newspaper The Jerusalem Post said that Israeli authorities were monitoring another aid convoy heading to Gaza and that they would stop it and tow the ship to the Israeli port in case it attempts to break the blockade. At present, the Asia 1 ship carrying various humanitarian aid worth about one million US dollars as well as about 160 peace activists, is moored in a Syrian port. Its owners say they plan to sail to Gaza after getting permission from Egyptian authorities to pass a port on the Sinai Peninsula. 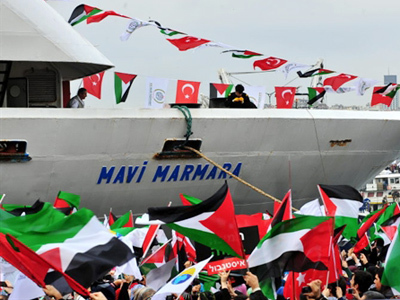 The Free Gaza Flotilla attracted worldwide attention in May this year when Israeli soldiers raided the Mavi Marmara ship killing nine peace activists, all of them Turkish citizens. Turkey and Arab nations demanded the UN investigate the incident but the initiative was blocked by the United States.